The fourth-generation Toyota Prius introduced in 2015 will go under the chisel this year. 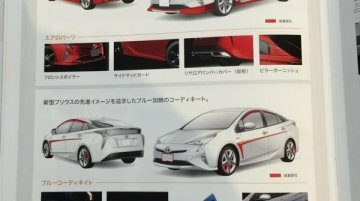 According to a story from Carsensor.net, the 2019 Toyota Prius will look similar to the Toyota Prius PHV. Fourth generation model reaches India 14 months after international launch. 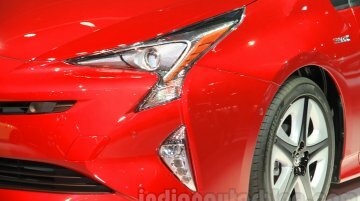 Toyota Kirloskar Motor has launched the fourth generation Toyota Prius in India at a price of INR 38,96,040 (ex-showroom..
Expected to deliver a fuel economy of around 40 km/l. 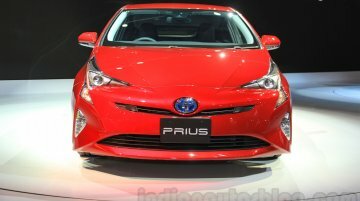 Although an exact date is yet to be divulged, Toyota Kirloskar Motor has confirmed that the 2016 Toyota Prius will launch in India in January..
Will continue to be a CBU import. 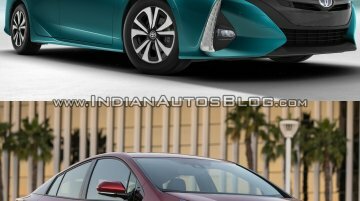 According to Autocar India, the new Toyota Prius will launch in India in early 2017, a year after its local debut at the Auto Expo 2016. 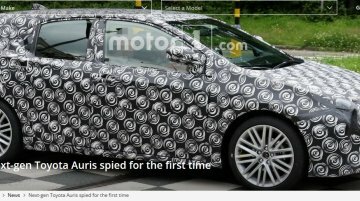 Like the model it..
All-new Auris expected to arrive in 2018. 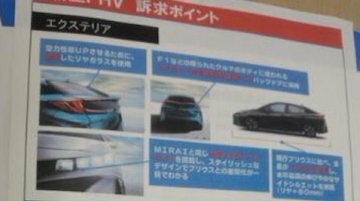 The second generation Toyota Auris, also known as the Toyota Corolla and Toyota Corolla iM in some markets, was revealed in August 2012 and had its world..
Could go on sale during Autumn 2016 in Japan. 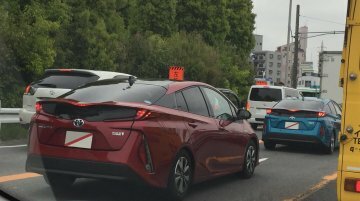 Courtesy of EVsmart, here's an image of the the Toyota Prius PHV (Prius Prime in the U.S) parked alongside a pre-facelift Tesla Model S at a charging..
Toyota's eco-friendly highlights at Auto China 2016 (2016 Beijing Motor Show) held last month were the Toyota Mirai and the 2016 Toyota Prius. 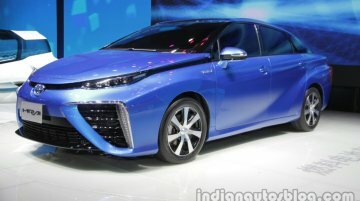 Toyota Mirai The Toyota Mirai, launched in.. Unveiled at the 2016 New York International Auto Show. 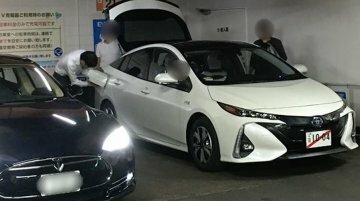 Japanese website Minkara has posted pictures of the Toyota Prius Prime (PHEV) in Japan. 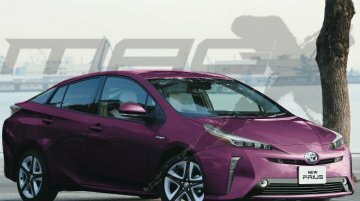 The report states that the Prius Prime will go on..
Toyota has introduced the second generation Toyota Prius plug-in hybrid as the Toyota Prius Prime at the 2016 New York International Auto Show. Here's how it differs from the fourth generation 2016..
To feature distinctive elements over an identical silhouette. 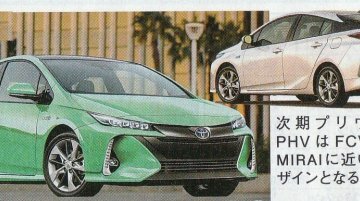 A Japanese car magazine has rendered the next generation Toyota Prius PHEV that will be sold alongside the regular Prius hybrid. First car to be based on TNGA platform. 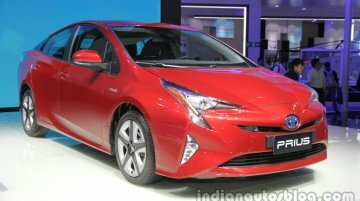 Toyota Kirloskar Motor has displayed the new Prius at the Auto Expo 2016. 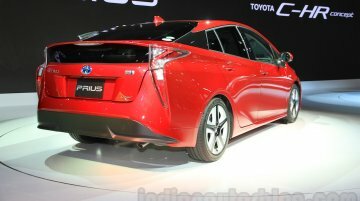 The fourth generation 2016 Toyota Prius is Toyota's first model to be based on.. Available in four trim levels: "E","S", "A", and "A Premium". 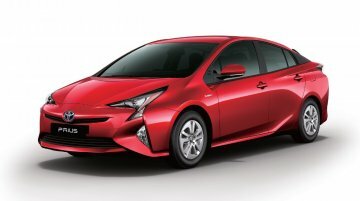 The 2016 Toyota Prius is now available for sale in Japan, which is the first market to get the next generation hybrid. 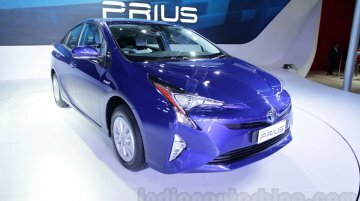 Prices start fro..
Fourth-gen Prius is yet to go on sale worldwide. 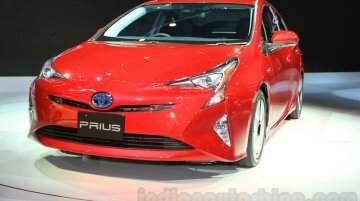 Indian Autos Blog can report that the fourth-generation 2016 Toyota Prius, which was revealed a couple of months ago (September 2015) will have its..
Fuel efficiency improved by 18 percent. 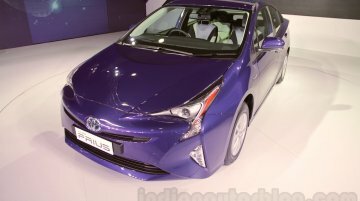 According to a report on the Economic Times, the 2016 Toyota Prius will have its market introduction in India next year. The fourth generation of the.. Both vehicles get their Japanese premiere at the show. The all-new 2016 Toyota Prius and C-HR Concept have both made their Japanese premiere at the 2015 Tokyo Motor Show. The Prius will be going on.. Available with an e-four AWD system. 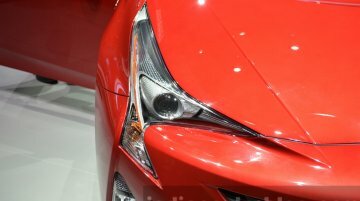 When Toyota unveiled the next generation 2016 Toyota Prius ahead of its public premiere at the 2015 IAA in Frankfurt, the company didn't reveal too..